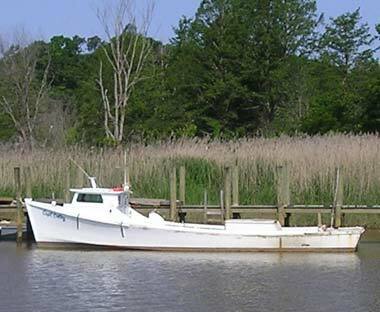 Chesapeake Bay deadrise boat; public domain photo by Greg Vassilakos on Wikipedia. 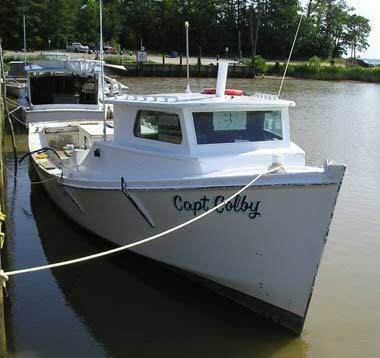 During the first half of the 20th Century, a fleet of Deadrise boats worked the Chesapeake Bay for oysters. Simple but elegant, the Chesapeake Bay Deadrise was built specifically to work the shallow, choppy waters of the Chesapeake Bay and its rivers. Many watermen built their own boats, with unique variations on the basic design (with differences in craftsmanship, materials, and detail). Bow shot of Chesapeake Bay deadrise boat; public domain photo by Greg Vassilakos on Wikipedia.